The University of Surrey is based in the county town of Guildford, Surrey in the South East of England. Guildford is a busy town with cobbled streets, a castle, cinemas, theatres and galleries. It has a population of approximately 66,773. Heathrow is the nearest airport from Guildford and can be reached directly by frequent trains. The train journey takes just under an hour and driving takes approximately 50 minutes. Heathrow Airport is one of the UK’s major international airports, with flights to Dubai, New York, Frankfurt and Dublin more more than 180 other destinations. Road and rail links are good and Guildford is just 27 miles from London. The average lowest temperature in Guildford is 3 degrees in January. The average highest temperature is 22.5 degrees in July. 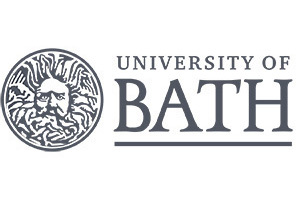 The University of Surrey received its Royal Charter in 1966, but the roots of the University go back to 1891 with the foundation of Battersea Polytechnic, which was established to provide further and higher education for the poorer inhabitants of London. From around 1920 the Polytechnic focused on science and technology. Its reputation grew leading to it being designated as a ‘college of advanced technology’ in 1956 and renamed Battersea College of Technology in 1957. By the beginning of the 1960s the College had outgrown its building in Battersea and made plans to move to Guildford; this move was completed by 1970. Today the University of Surrey specialises in science, technology, medicine and business and is a major partner in the new 5G Innovation Centre which is the world’s first research centre dedicated to mobile technology. In addition, the Surrey Research Park is a 69-acre low density development owned and developed by the university, and providing facilities for more than 110 companies engaged in research, development and design activities. The University’s main campus is located on Stag Hill, a few minutes walk to the centre of Guildford and adjacent to Guildford Cathedral. A second campus, at Manor Park, is located 20 minutes walk or a 5 minute bus-ride away and has been developed to expand upon existing accommodation, academic buildings and sporting facilities. University of Surrey is currently ranked between 251-300 in the Times Higher Education rankings, it is ranked between 301-400 in the Shanghai Jaio Tong rankings. Surrey is not a member of the Russell Group of universities. University of Surrey is ranked =68th in the National Student Survey Satisfaction rankings. There are approximately 4,600 international students studying at the University of Surrey from over 130 countries, representing about 36% of all students. Pathway entry for international students-Surrey’s International Study Centre, offers foundation courses leading to degree course entry. 96.9% of University of Surrey graduates enter directly into work, further study or training within 6 months of graduation (source:HESA). A breakdown of post graduation employment by course, showing the split into professional/managerial positions, rather than general employment figures, is available from Unistats an independent source of university data. For more information, please visit the RAE Information page. Both campus sites are served by food shops, banks and student health care services. The Lewis Elton Gallery is an on-campus visual art gallery with a rolling programme of exhibitions; these are open to students and members of the public alike. Situated close to the main university campus, is the Surrey Sports Park. It houses a 50-metre Olympic-size swimming pool, three multi-sports halls, a squash centre, 700 square metres of fitness facilities, two artificial floodlit pitches, outdoor and indoor tennis courts, four real tennis courts and a climbing centre. A 1,000 seat indoor arena facilitates basketball, rugby and football amongst other sporting activities with many opportunities to take part in recreational sport, dance and fitness classes. 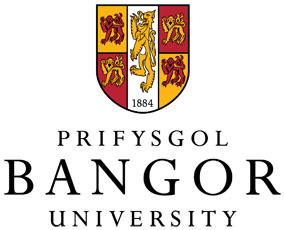 The Student’s Union operates almost 100 student clubs and societies catering for interests such as Chess, Baking, Musical Theatre, Hockey and Philosophy. A variety of room types are available in the courts (halls) of residence. All rooms are self catering. The lowest price for a single room with shared bathroom and kitchen facilities is £87.00 per week. Fees for full time undergraduate courses start at £16,300 for some Arts and social science subjects & Law, £17,500 for most Business related subjects rising to and £21,100 for most Science & Engineering courses. 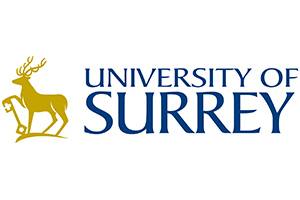 The University of Surrey offers distance learning to MSc level in: Advanced Ground Engineering; Bridge Engineering; Civil Engineering; Infrastructure Engineering Management; Structural Engineering; Clinical Pharmacology; Pharmaceutical Medicine. Also to BA (Hons) level in Theatre.